This is the First of a few classical auctions i am gonna do in the next months. You will find more than 500 LP's, 10`s, Sets, Boxes and Lots in this 3-day long auction. Its gonne be All about Cello, Violin and Chamber Music Stuff in this Auction!!! 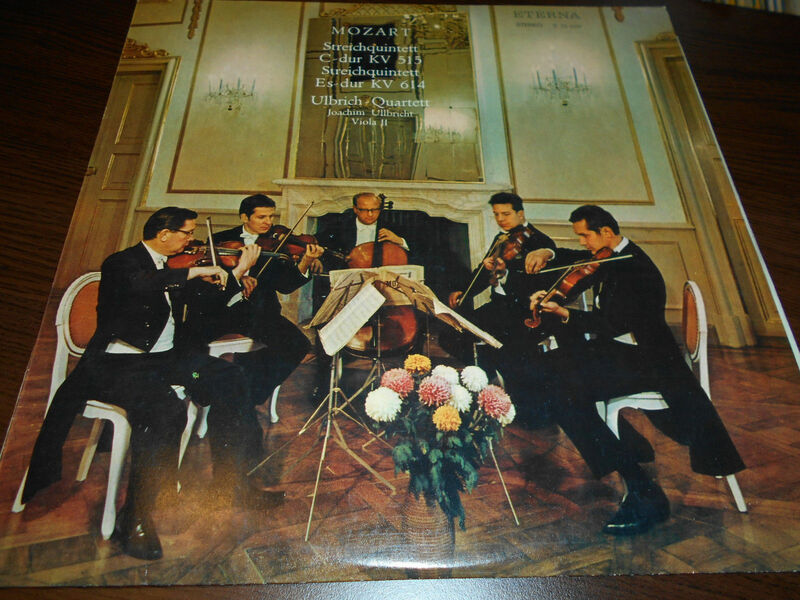 Sonatas, Concertos, String Quartets, World Famous Recordings and very very rare stuff you might never seen before. You will find Soloists like Shafran, Kogan, Kremer, Chuchro, Tortelier, Chomizer, Vectomov, Perenyi, Mezo, Rostropowitsch, Fournier, Sadlo, Oistrach, Menuhin, Szeryng, Ida Handel, Suske, Erben, Morbitzer, Navarra, Gutman, Dillner, Ullbricht, Ulbrich, Kootz, Bosse, Wlasow, Heran, Suk, Grumlikova, Suk Quartett, Vlach Quartet, Janacek Quartet and many many more playing the classics and contemporary music. Take a good look, you might find some Very Nice Gems in my auction. ...for more info see the pictures or ask me! I mostly grade optically, i can not listen to all the thousand records. That works fine very very oft, but i might not be perfect and sometime people have different views and ears, but i deliver a contact friendly service and allways find a way to fix it, if i made a mistake. FOR MORE SHIPPING INFO ASK ME OR SEE MY SHIPPING DEFAULT! total weight using Deutsche Post & DHL, ask for more, if you need answer. Its gonna take some time to pack all this stuff up. Please don't expect me to send out everything the next day. It's gonna take some days.